Messenger, an impactful 7-metre-high sculpture of a woman, was designed by a local artist to stand outside the theatre’s entrance, reflecting the creativity of this renowned artistic institution. She was inspired by a pose struck by an actor during a rehearsal for the Theatre’s production of Othello, and is the UK’s largest cast bronze sculpture. 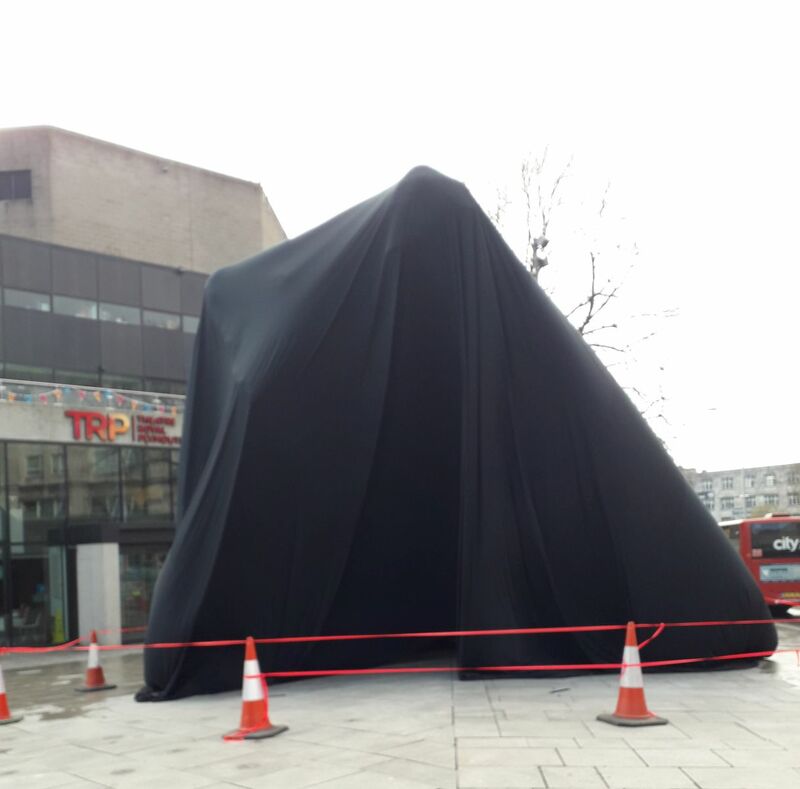 The arrival of Messenger to Plymouth this week was a particularly momentous occasion for SWH as the contractor appointed to prepare the ground outside the Theatre to accommodate this impressive (yet weighty!) piece of art. Weighing in at a massive 10 tonnes (apologies for the impoliteness of discussing a woman’s weight!) the foundations required to hold Messenger included 9 metre deep concrete piles. Since Summer 2018, SWH have been working hard to prepare the ground outside of the theatre to accommodate Messenger, so were very excited to see her finally lifted in to place this week. Works also included the installation of light ducting so that she can still be seen in the darkness. SWH have this week been undertaking the final bits of paving works around the sculpture before the official unveiling tonight. Darren Squirrel, Site Agent at SWH said “We’re delighted to see Messenger now in her place outside the theatre. Working within such a busy location has had its challenges, but it’s definitely been worthwhile. It’s great being part of a project that I’ll be able to easily see every time I go to Plymouth, and I look forward to seeing Messenger standing there for years to come”. This entry was posted in Civil Engineering, In Our Community by Helen Douglas. Bookmark this permalink.